Networking is important! 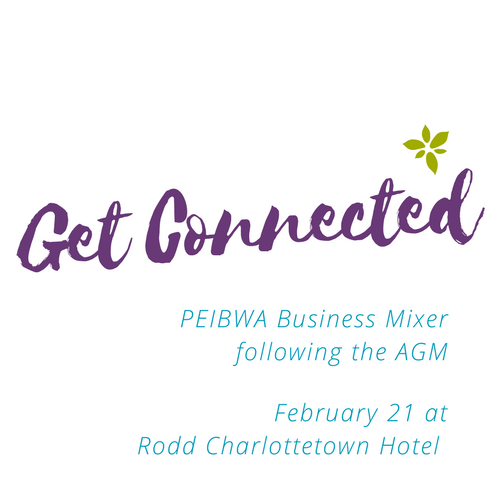 Save the date for the February Get Connected mixer at the Rodd Charlottetown hotel immediately following the PEIBWA Annual General Meeting. It's free to attend, and open to all who want to make new contacts and connect with old friends.